The news that the latest Nokia Lumia 735 includes Microsoft's Cortana, and the images of the desktop version for Windows 10, are just the latest exciting developments in computing. The next step is one where machines become capable of learning and self-reflexively developing knowledge about the people and objects around them. The next step in emerging technologies is a service that consolidates our experience. Currently apps like Siri and Cortana are limited by their operating system. They don't engage with other apps so they tend to be more of an annoyance than an assistant. 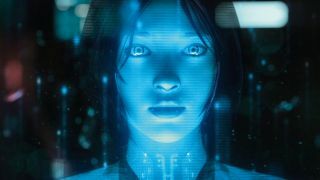 But the new generation of Virtual Assistants will be the new gateway to the internet and all the people and things connected to it. If we are to map what the future Virtual Assistant service will be –what it will look like, what it will do – then we need to understand the opportunities and challenges of bringing the VA of the future to life for users, regulators, and service suppliers. On a magnitude scale, if social media and big data are minor tremors, VAs are earthquakes of impending disruption to individuals, families, and communities. VAs will not be divorced from the actual real-life experiences, actions, and choices of the people that use them. If you are walking home on a street with a high level of assaults or robberies, your VA will proactively alert you and propose an alternative route. If you are an alcoholic on the wagon, your VA will alert your sponsor when you drink a beer or enter a bar. Initially, we will synch our mental and physical wellbeing with our VAs. But just as wired web connections or smartphone cables are disappearing, the progression of VA connectivity to wearables or hearables – and then implants – is inevitable. In families, the VA will automatically alert parents when their child connects with a suspect profile showing a 97 per cent correlation with likely grooming or bullying behaviours on a social network. This is no different to how financial institutions trust their fraud algorithms to be faster, more reliable and comprehensive than any human in assessing real-time risk in credit card transactions. You may not want to offload your parenting responsibilities to your VA, but you may be grossly irresponsible if you don't. VAs will integrate themselves into every facet of life, but they won't just be personal devices, there will also be business uses. It may be annoying when the bank cancels your credit card when you are entertaining clients on a business trip but would any business be willing to cut their credit cards off from automated fraud detection services? For brands, particularly those engaging directly with consumers, they need to be thinking now about how they are going to fit into this next communication revolution. Those who are early to the game will have a great advantage in this new world, whereas those who aren't looking to see how they can work with Virtual Assistants are in danger of falling behind. Virtual Assistants have the potential to hugely disrupt advertising as people rely on their Virtual Assistants to make rational decisions for them – decisions which will likely see them plump for the generic rather than the branded version of a product. The disruption is not limited to the world of marketing, retail, management consultancy and life coaches are all likely to face challenges from the growth of VA's. Virtual Assistants of this kind are not likely to be available in the next four to five years and Gartner estimates that they will be mainstream in a decade. Dr Chris Brauer is director of innovation in the Institute of Management Studies at Goldsmiths, University of London. Project Virtual Assistant is a research collaboration between Goldsmiths and media agency Mindshare UK's FUTURE_MEDIALAB, and the report can be downloaded here.